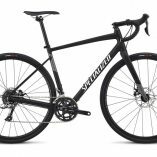 Category: Road bikes Brands: Specialized. The Specialized Diverge E5 is equipped with everything you need to head to work, take the long way home, or hit some forest roads and canal paths on the weekend. 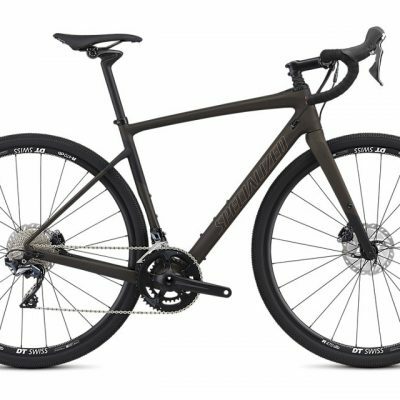 The updated 2019 Diverge is more capable than ever. And with the constant goal to best meet your needs, we took your number one request into account—tyre clearance. The new frame will comfortably fit up to 700x38mm tyres with plenty of room for mud, too. 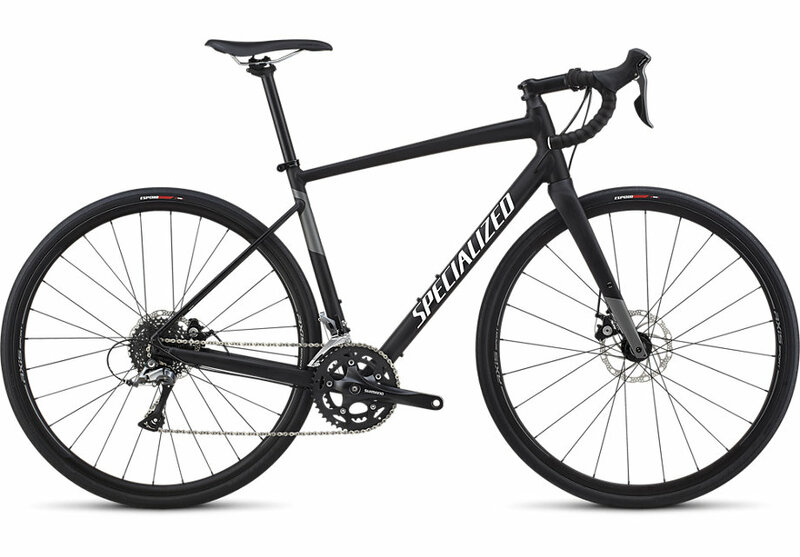 Along with tyre clearance, weight was a large factor in the development, and taking some design cues from the development of the carbon Roubaix, we developed an E5 Premium aluminium frame that’s plenty light, certainly stiff for hard efforts, and undeniable tough. Next up, we moved away from a traditional cyclo-cross geometry, instead opting for something that hasn’t been seen before—our ‘Open Road’ geometry. You can think of it as a road version of modern trail bike geometry. It provides playful handling and predictable steering for endless dirt skids and mid-corner drifts. 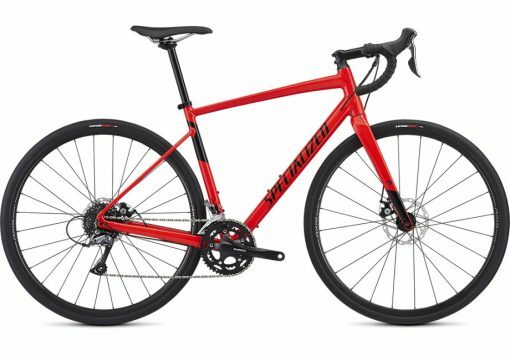 The geo features a bottom bracket that’s over a half-centimetre lower than the previous Diverge, a slacker head tube angle, short chainstays, and a short wheelbase. These changes make for a bike that’s not only fun in the dirt, but also performs well on the road. Adding to its multifaceted talents, we topped it off with three water bottle mounts, plus mounts for racks and mudguards. For the spec, we wanted to make sure that it shifted crisply and braked smoothly for years to come, so you’ll find a Shimano Claris transmission, hassle-free mechanical (cable operated) disc brakes.The durable Axis Sport Disc wheelset is paired up with our fast-rolling Espoir Sport tyres. 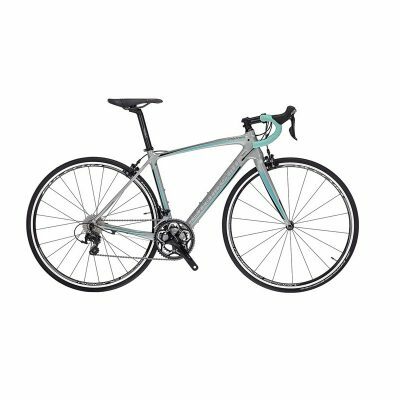 Shimano Claris shifting keeps things running smoothly and won’t leave you stranded.